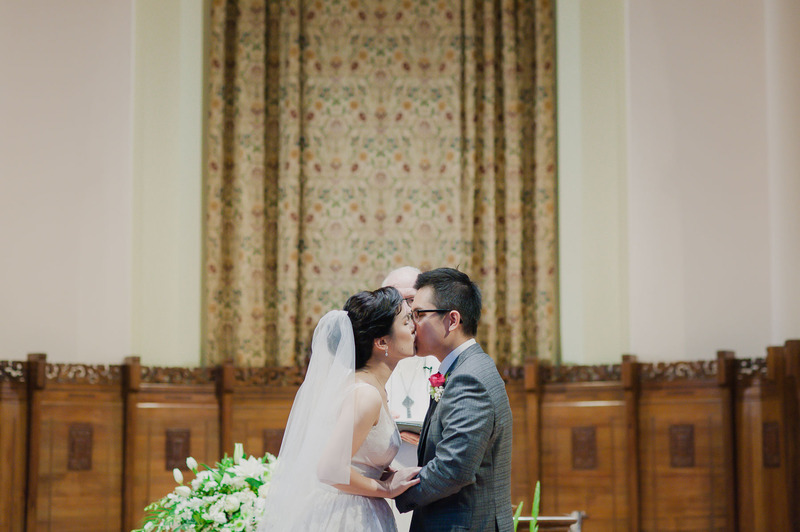 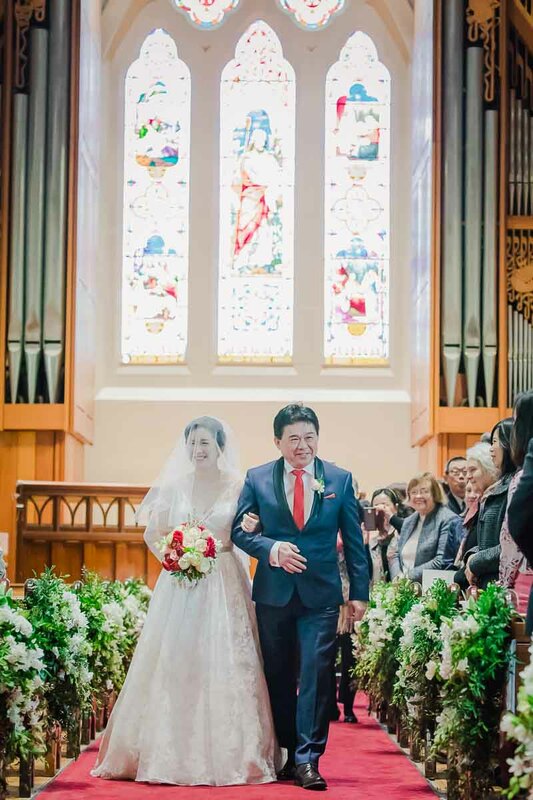 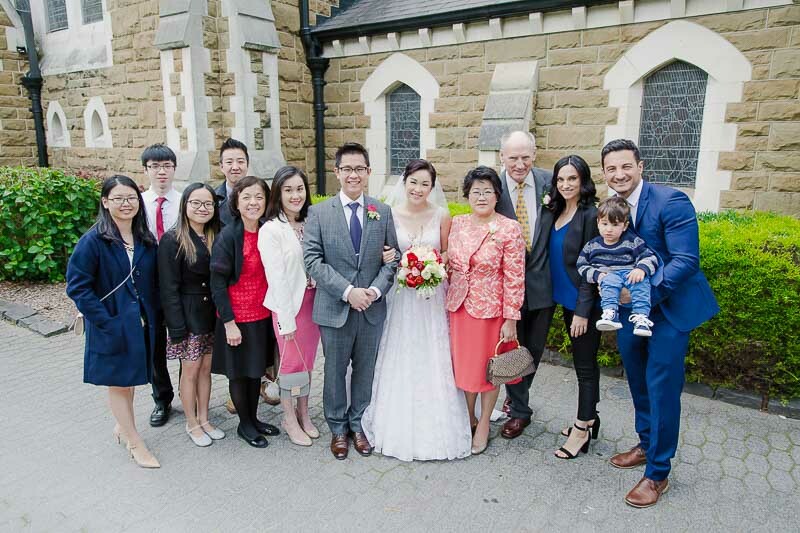 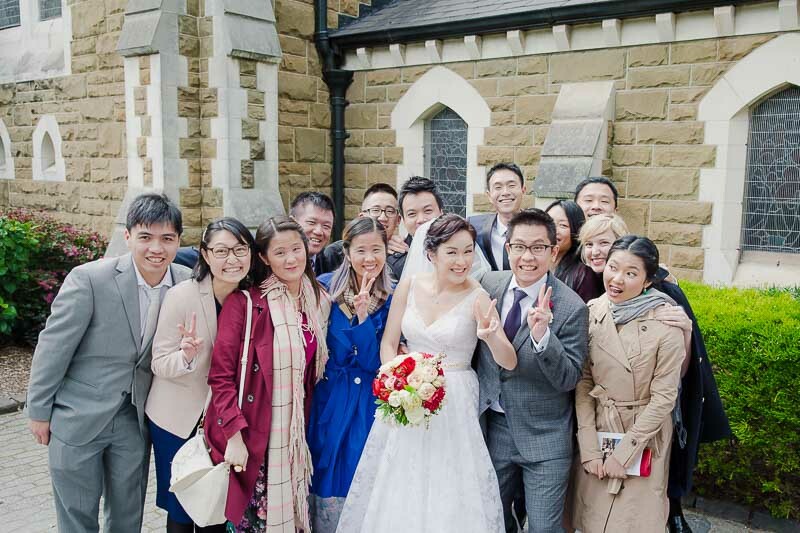 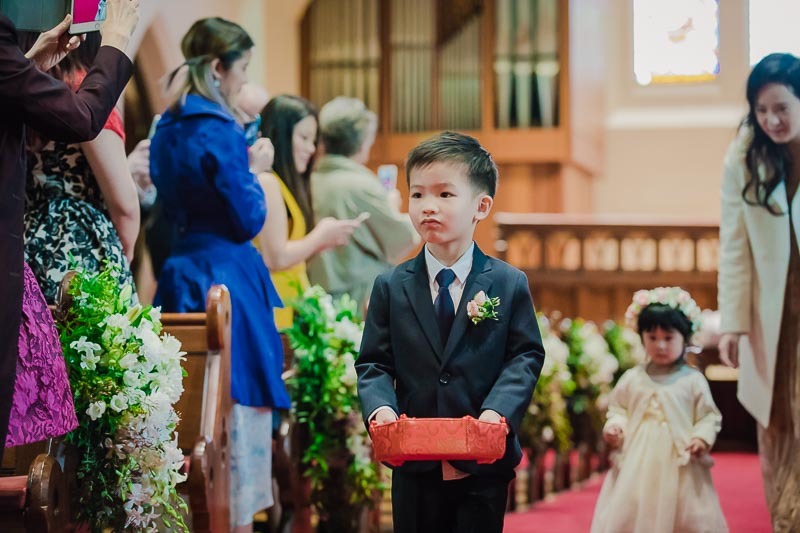 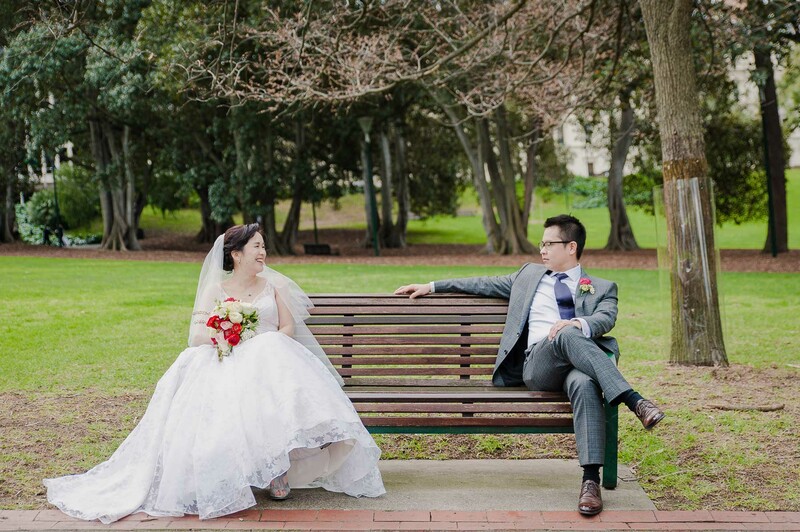 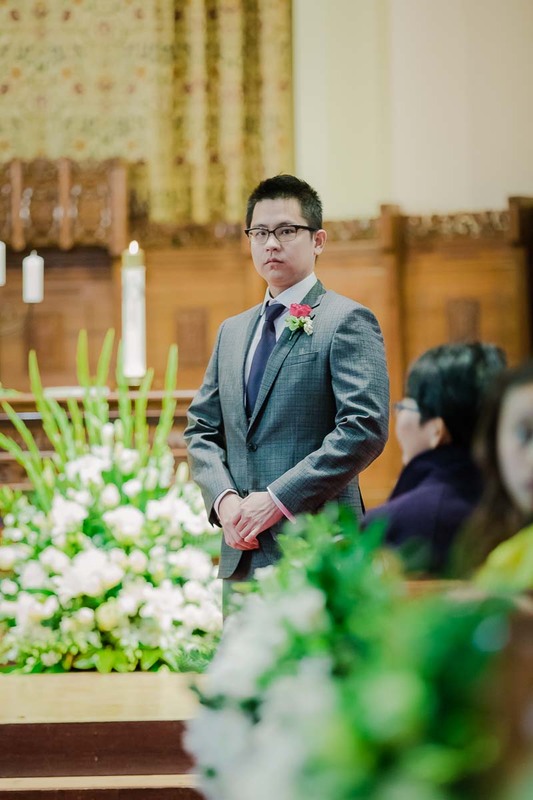 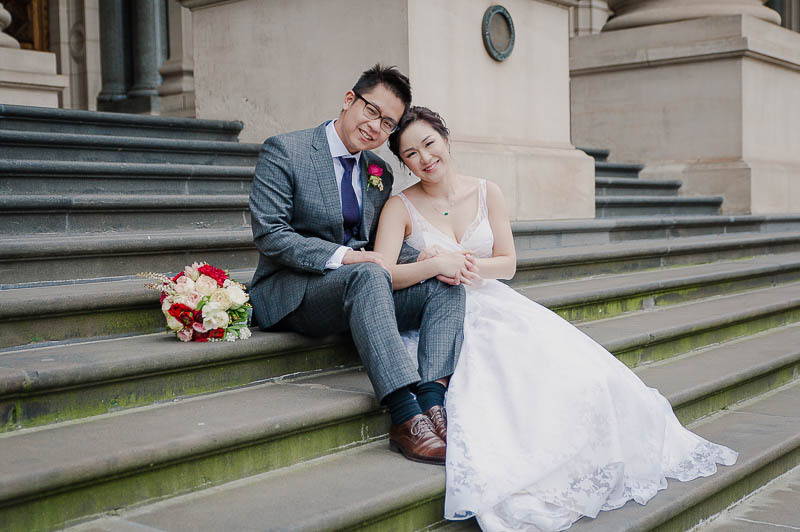 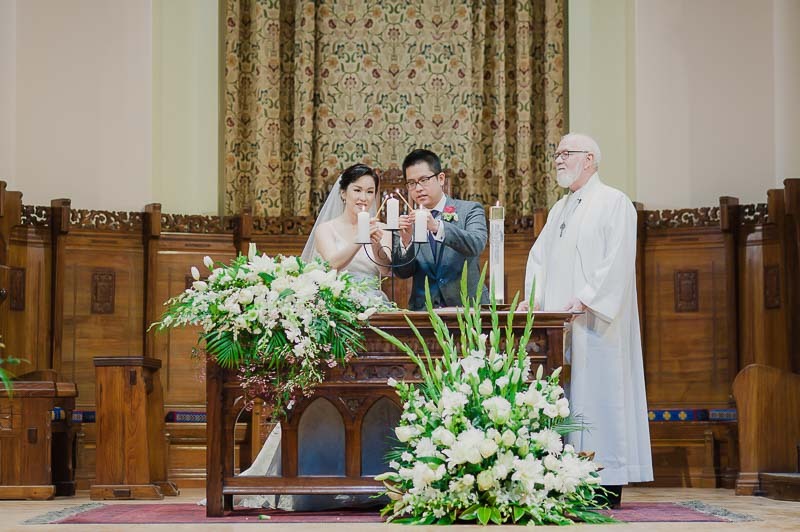 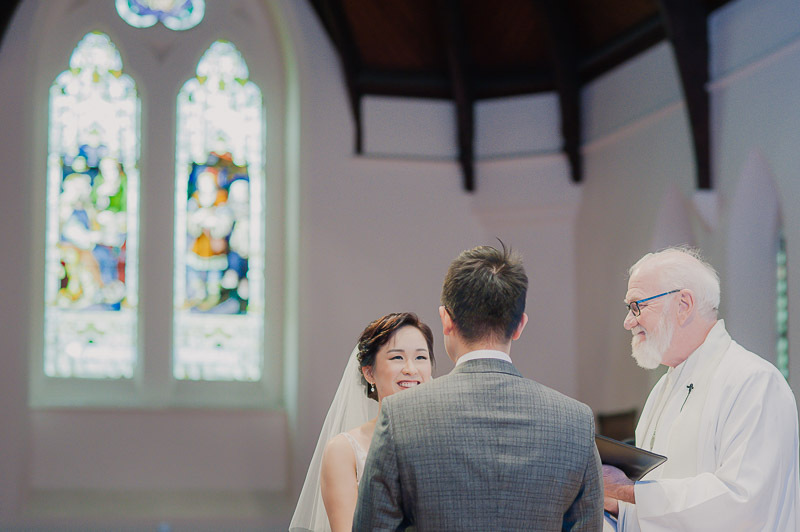 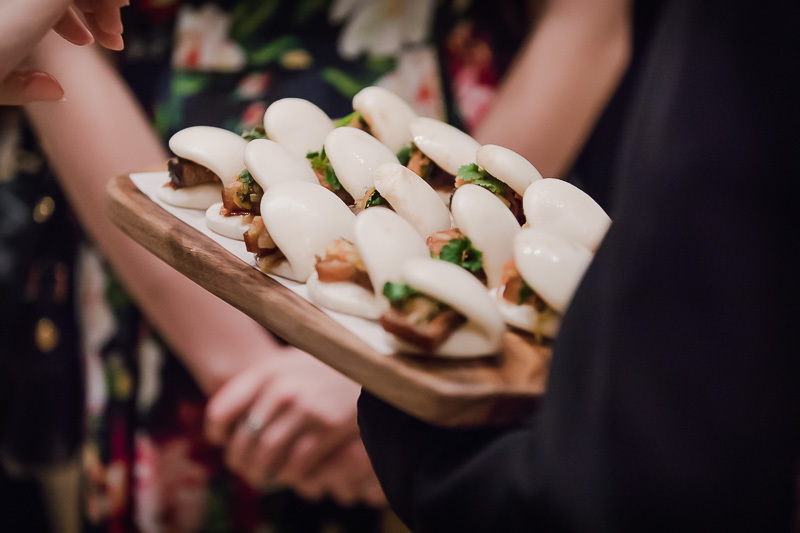 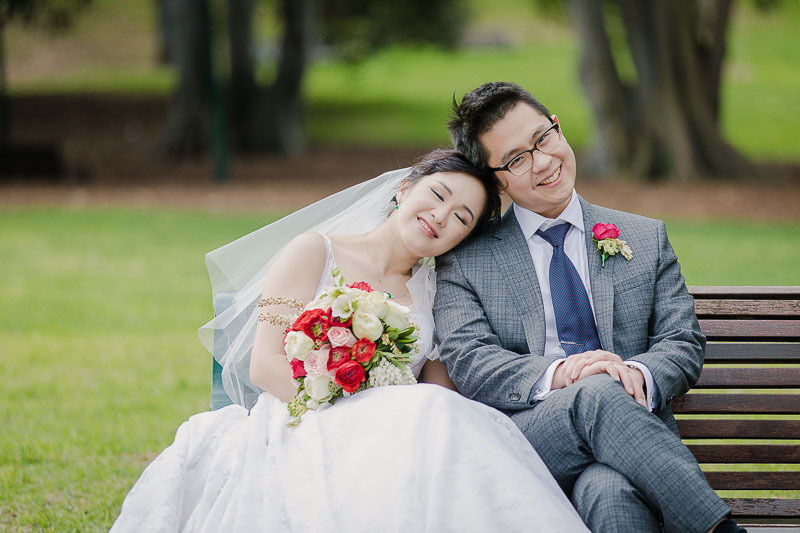 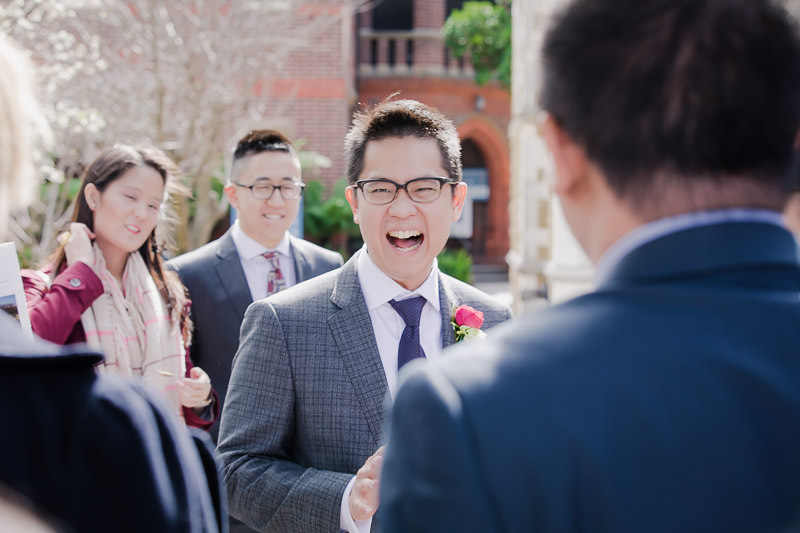 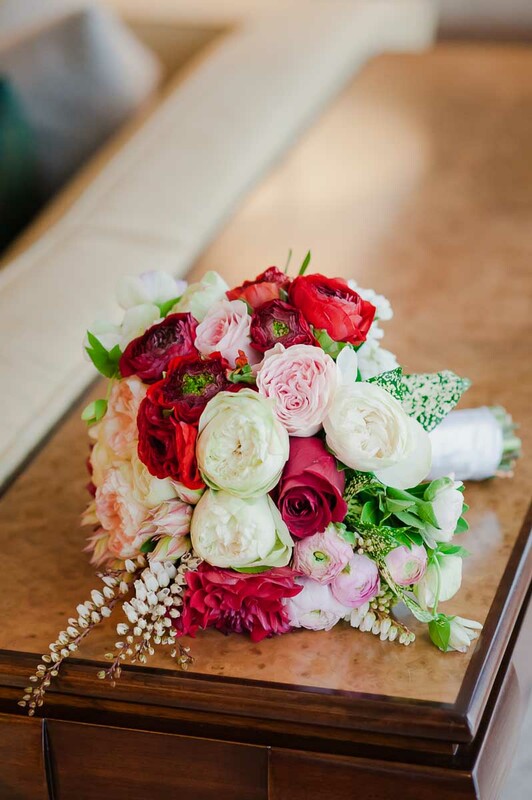 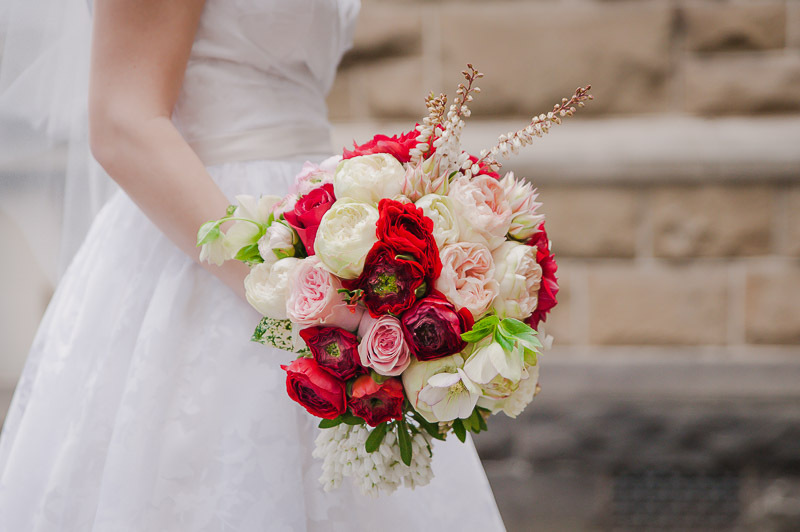 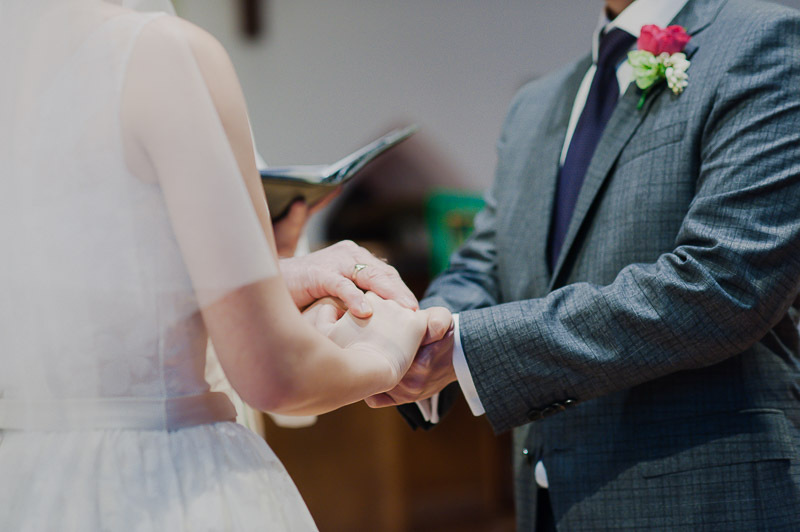 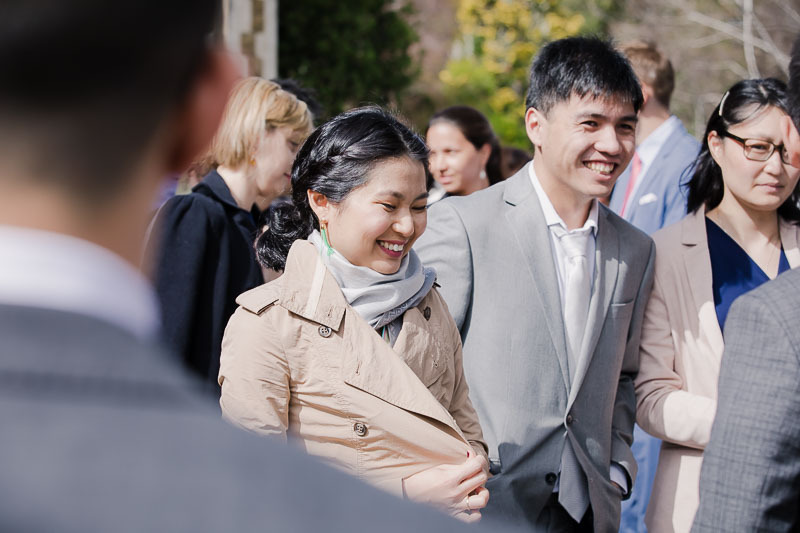 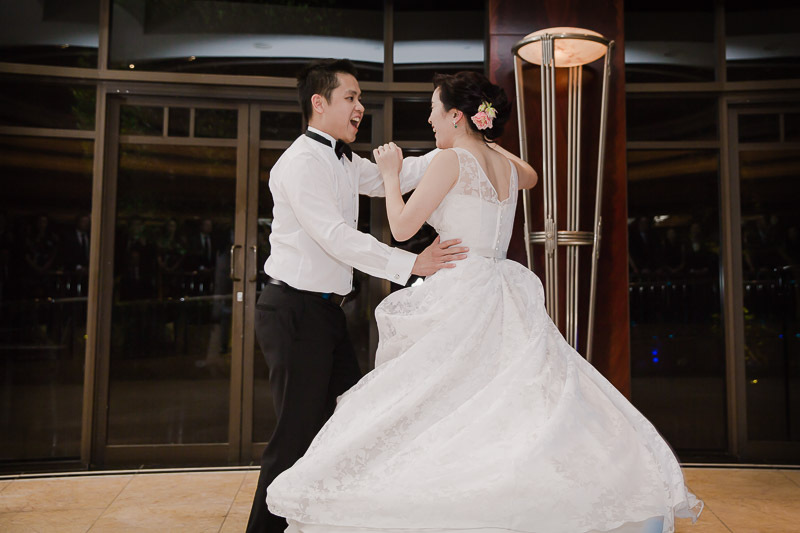 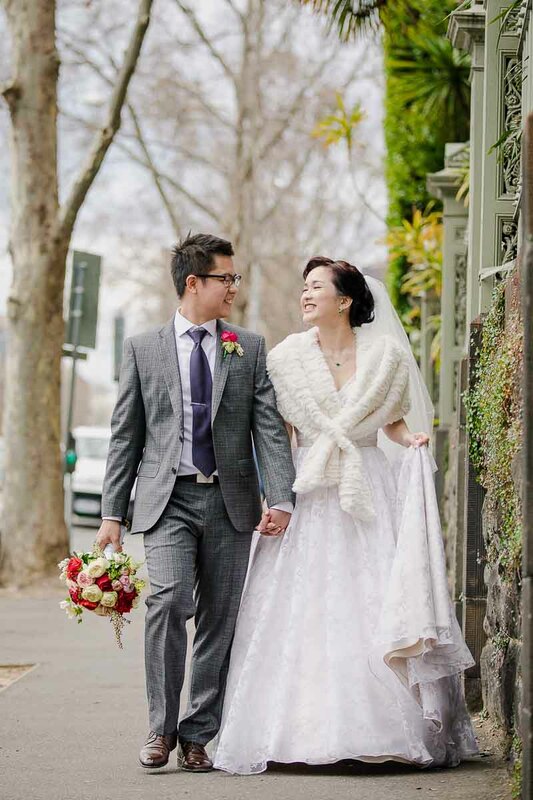 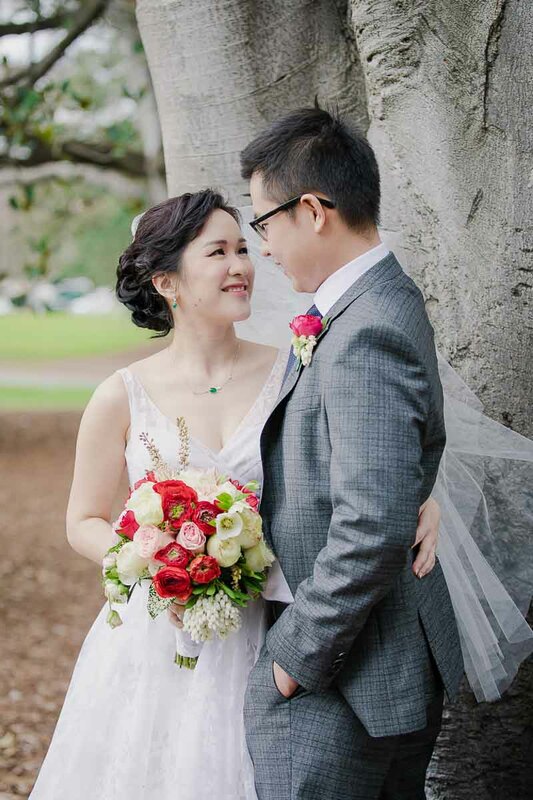 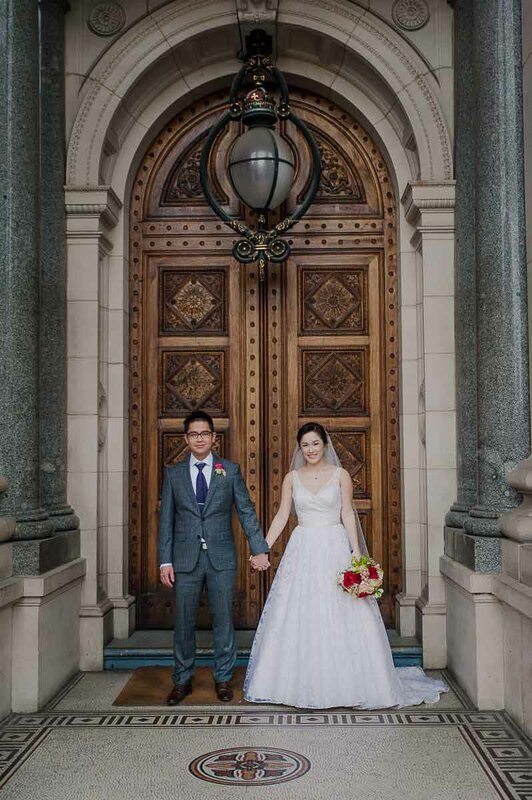 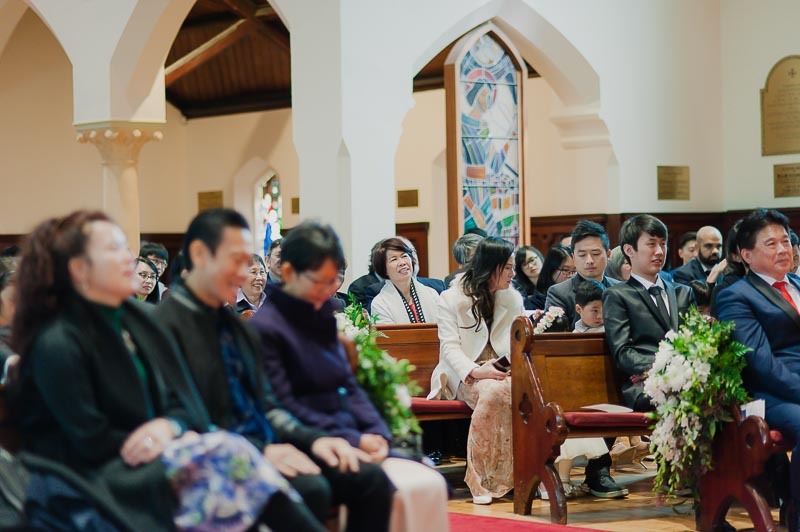 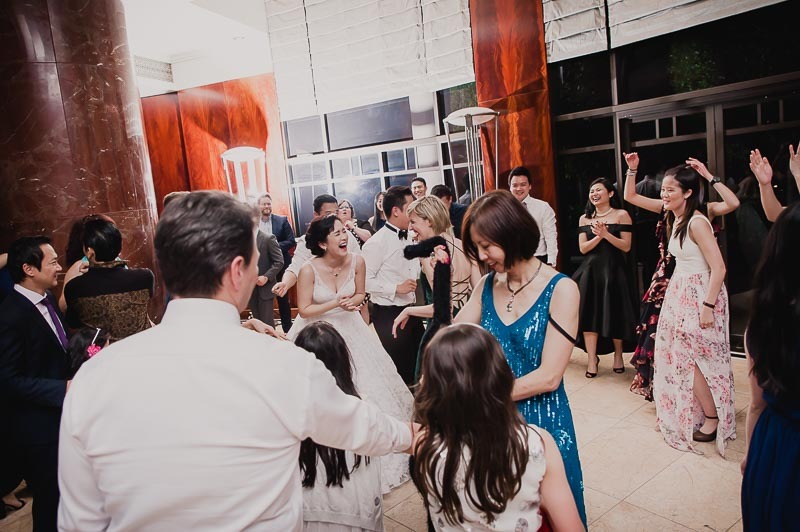 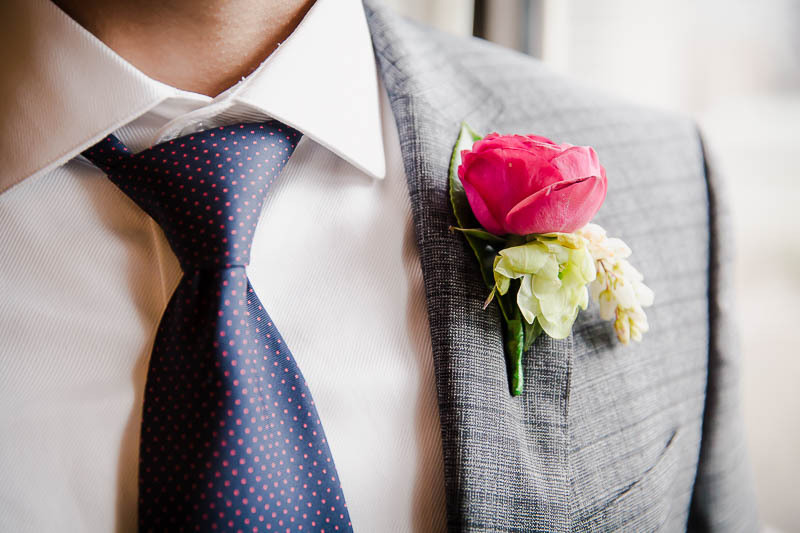 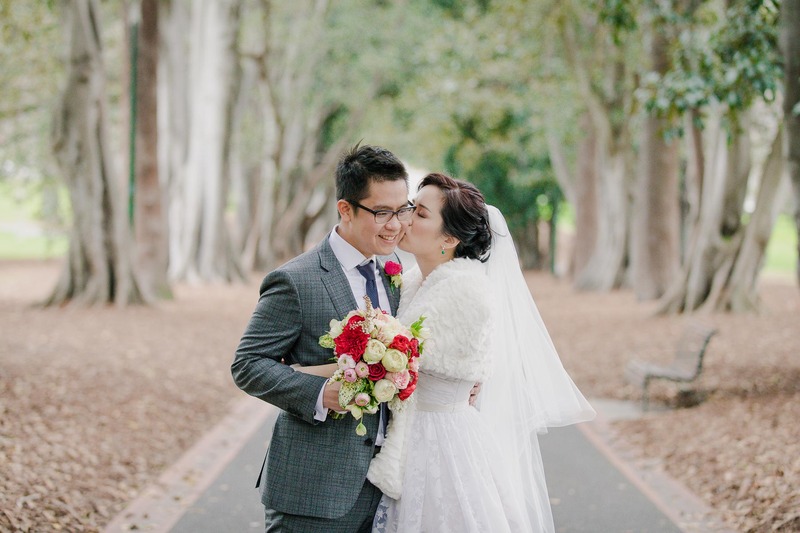 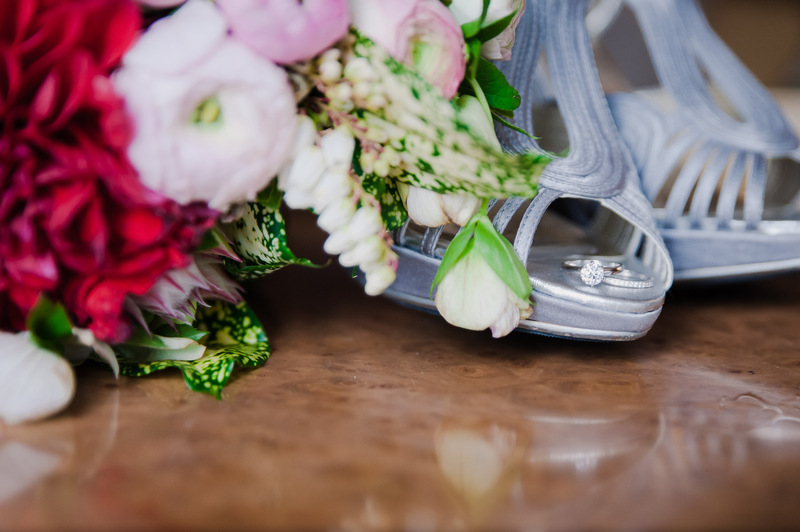 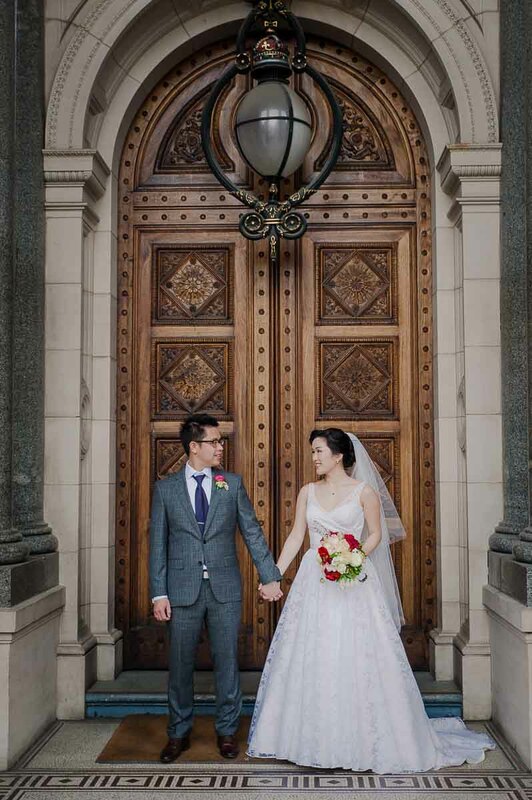 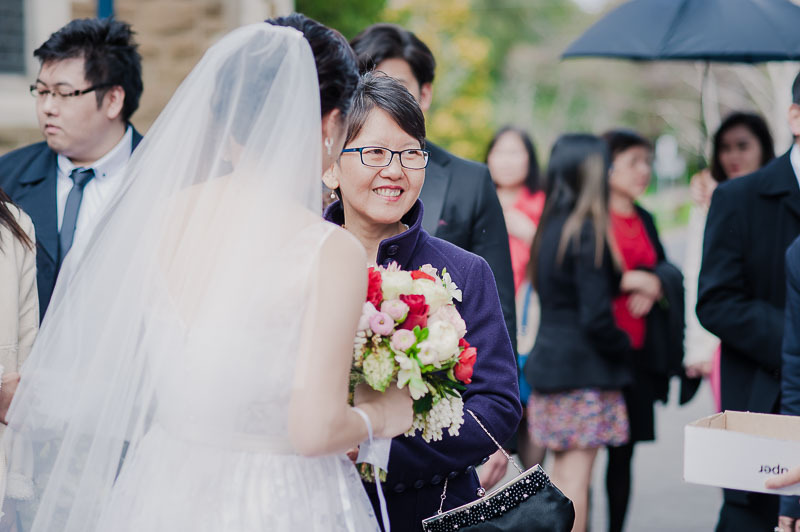 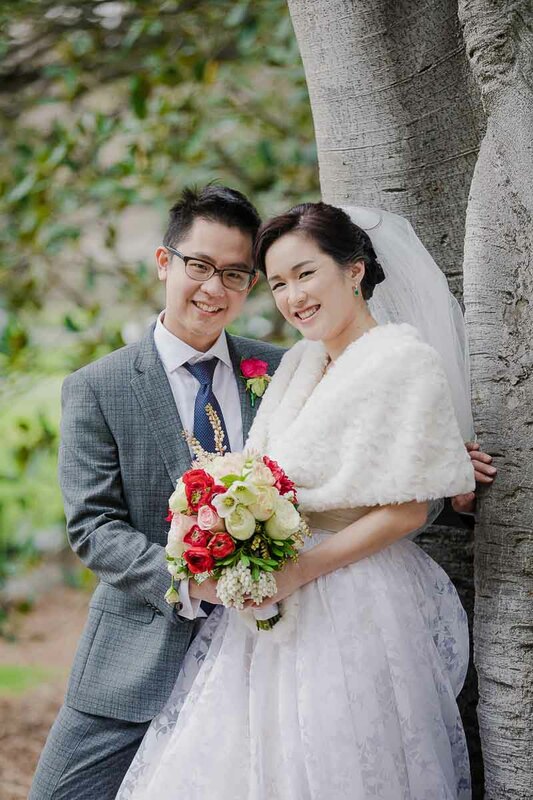 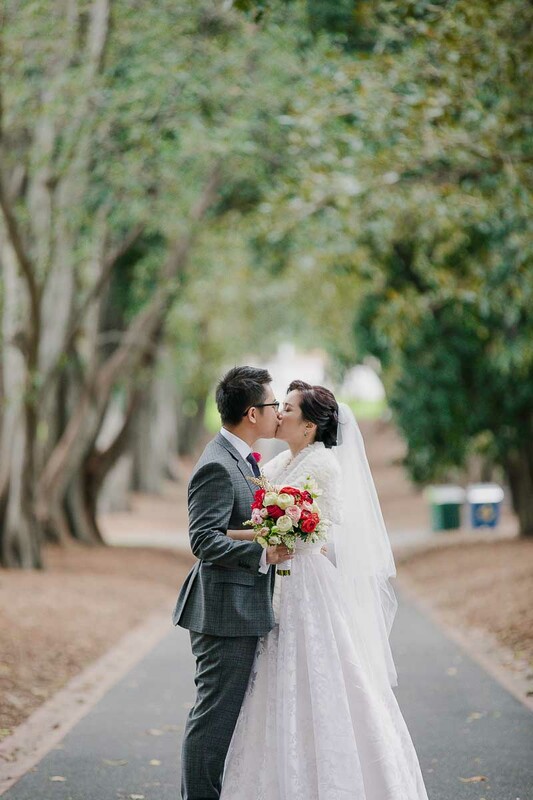 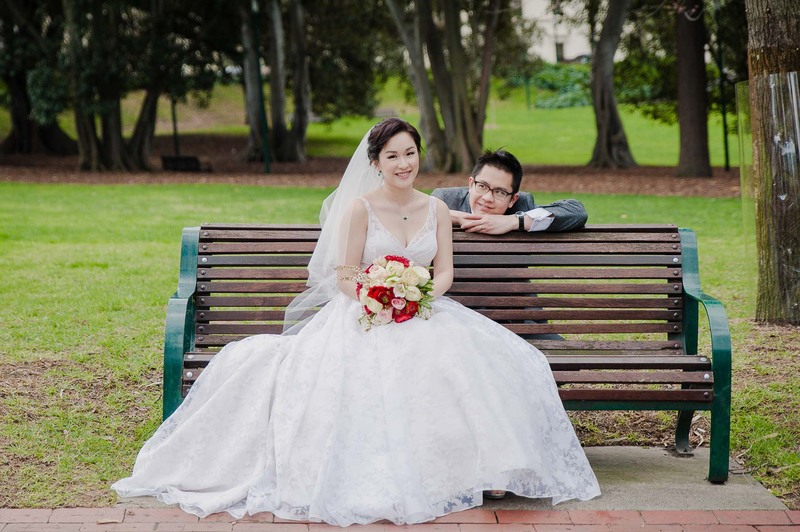 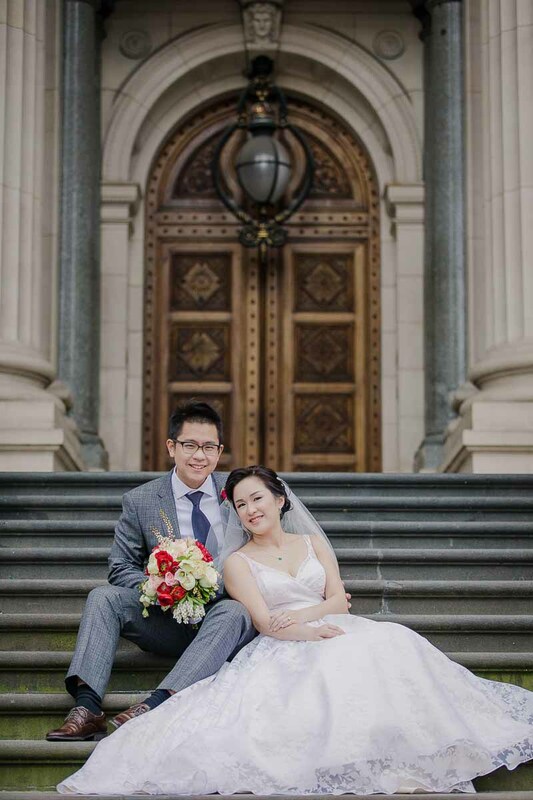 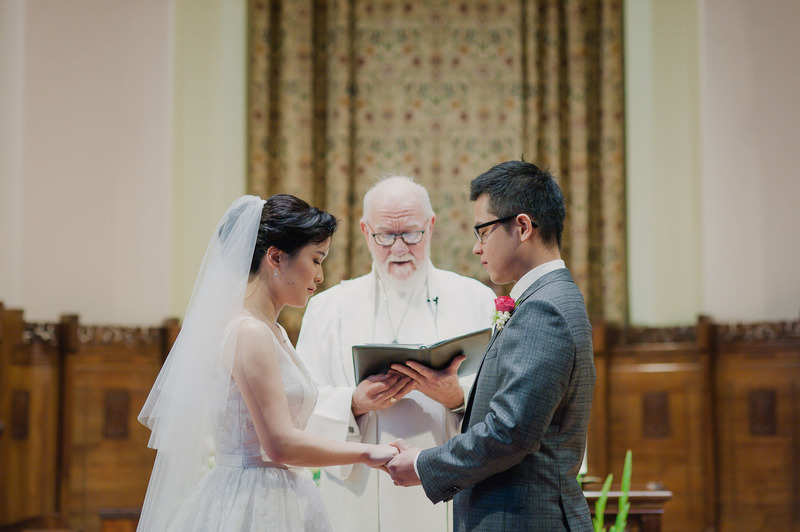 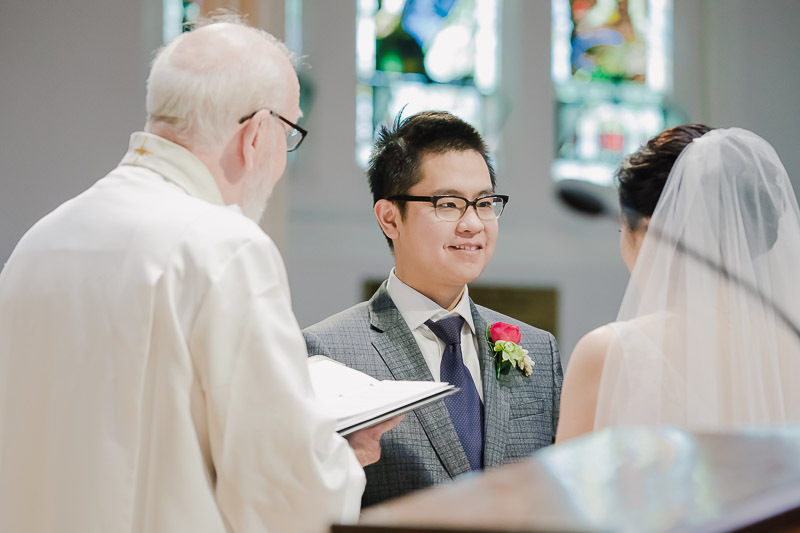 Toorak Uniting Church is one of our favourite churches for wedding photography, and that's where we began. 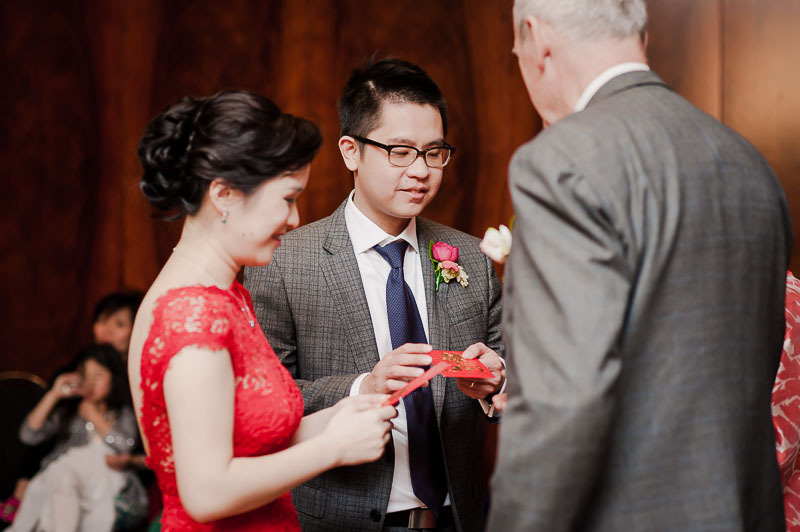 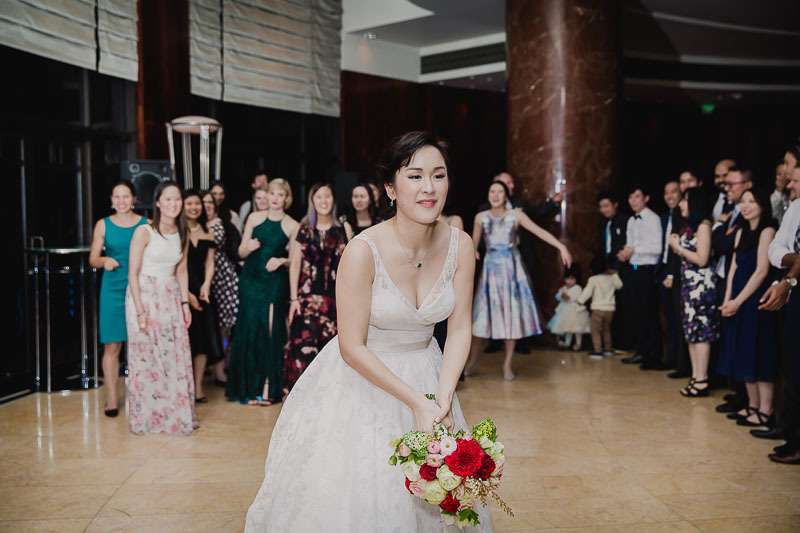 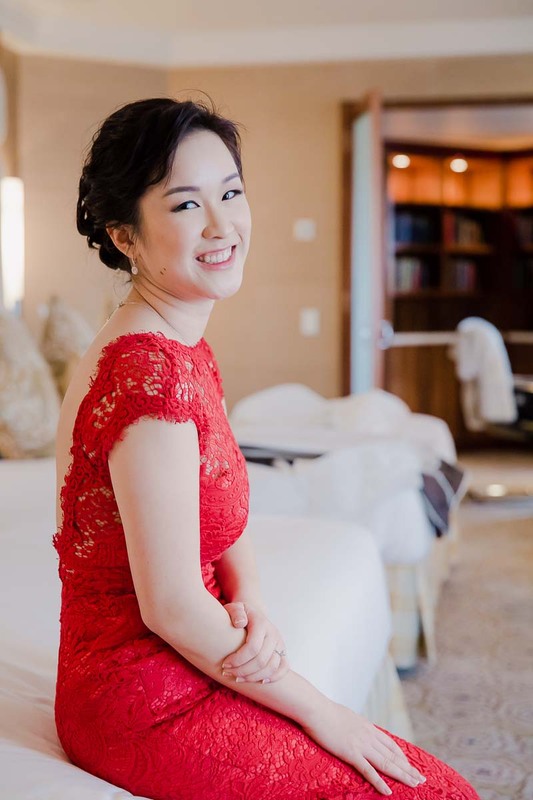 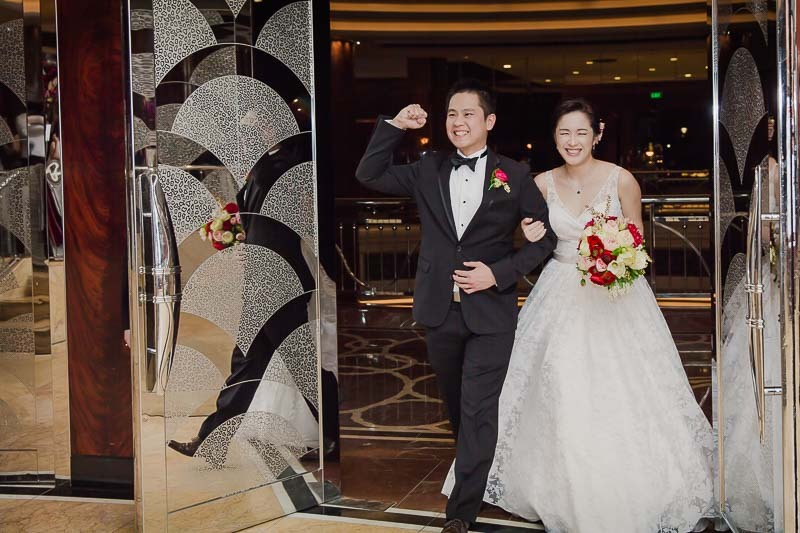 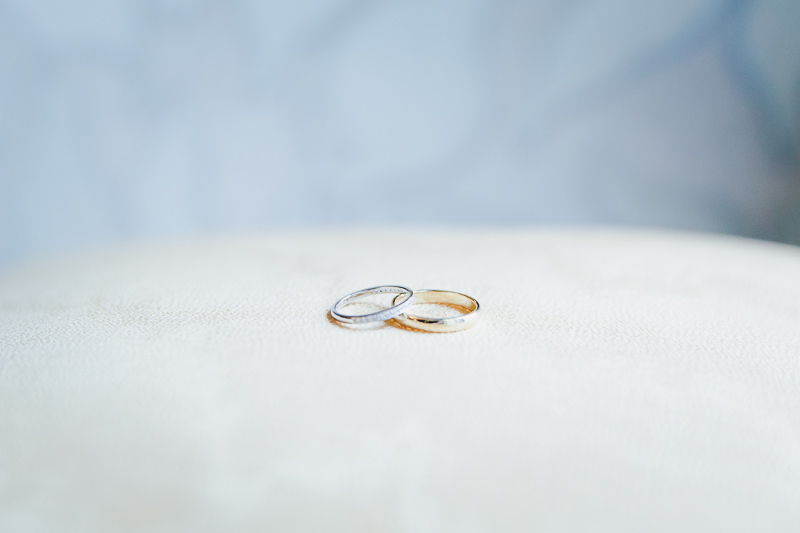 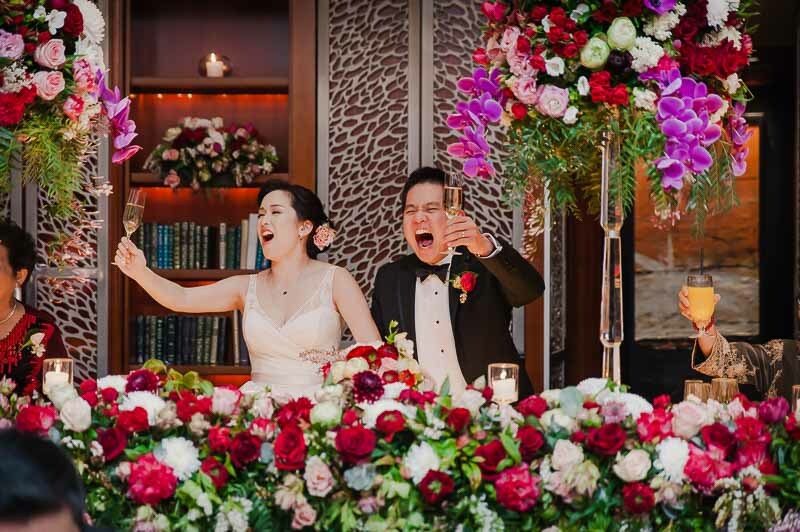 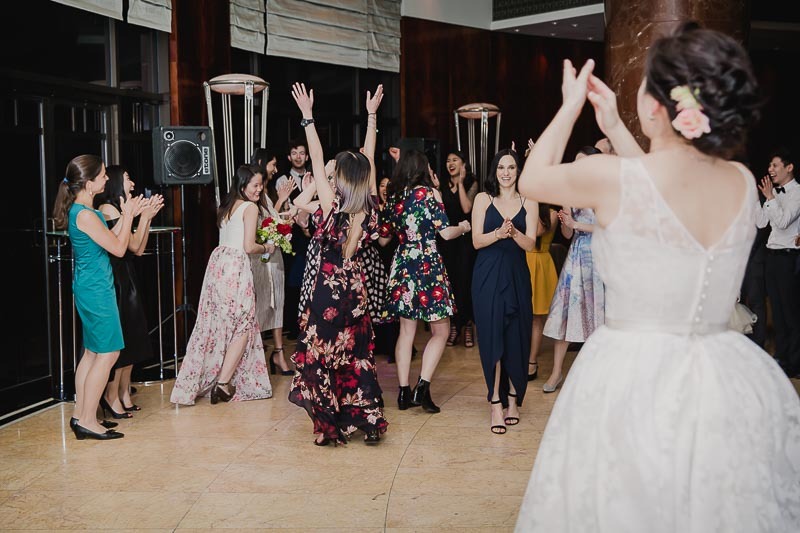 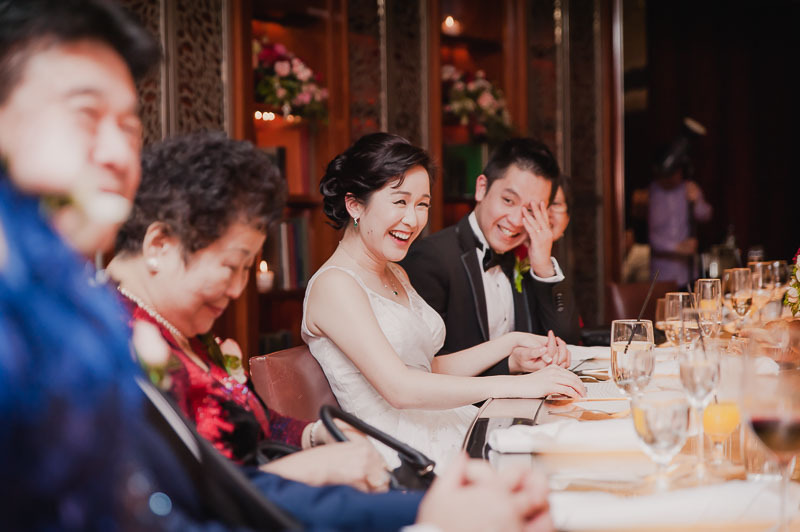 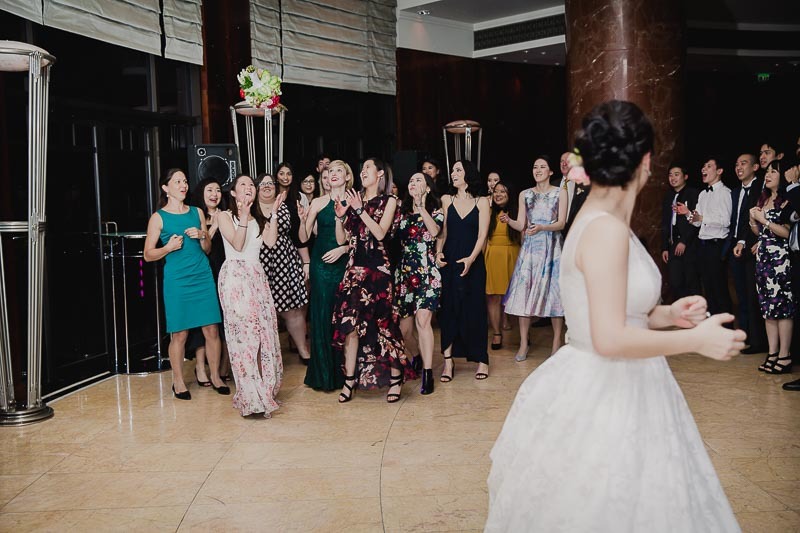 Normally we'd start the day with the preparation shots but Sophia and Jing decided to flip things around and have their preparation photos AFTER the wedding :) It makes perfect sense when you find out why, so read on! 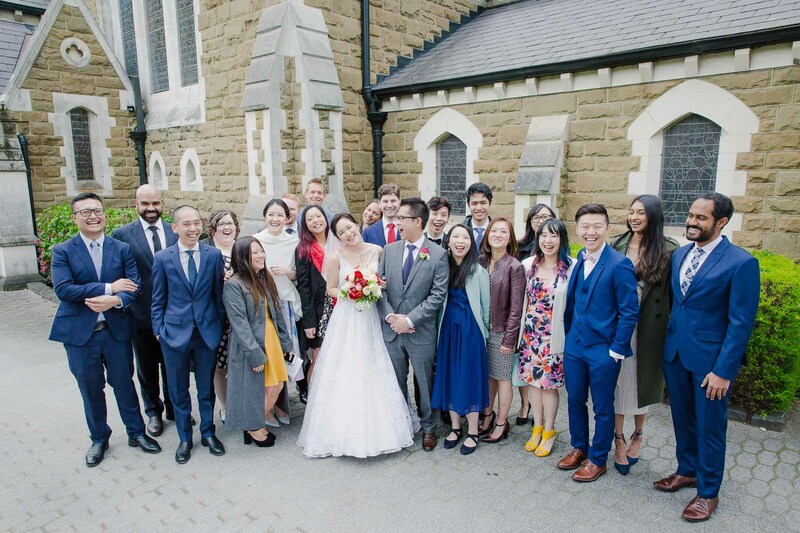 One great feature of Toorak Uniting Church is that it's large enough and bright enough to have a group photo of all your guests inside the church. 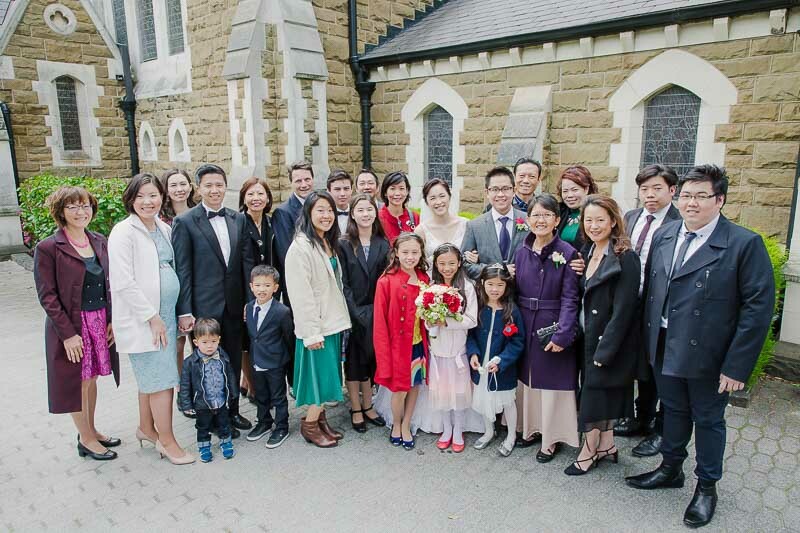 So that's what we did, followed by the smaller family and friends group shots outside the church. 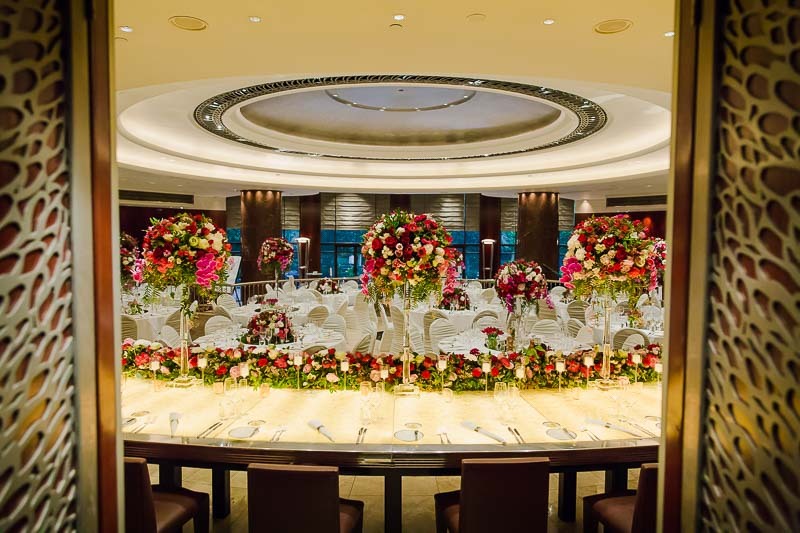 Then it was off to the Presidential Suite at the Park Hyatt Hotel! 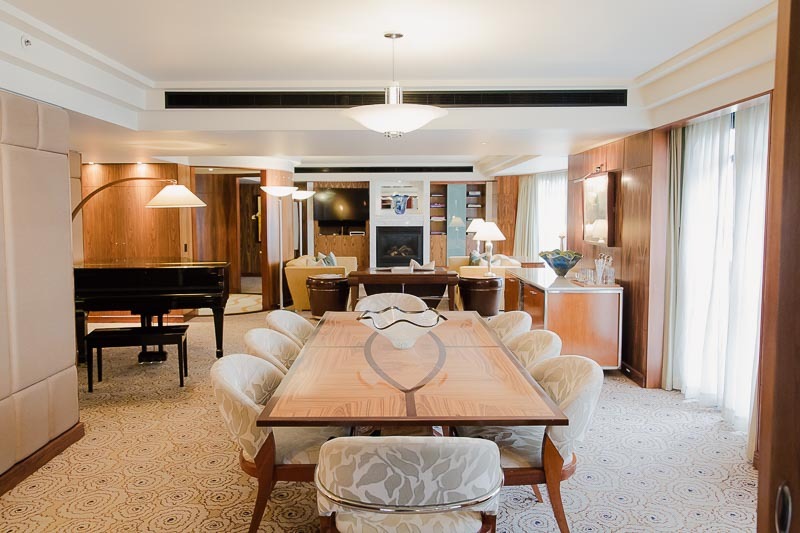 This opulent penthouse suite came complete with its own grand piano and an ensuite larger than most bedrooms. 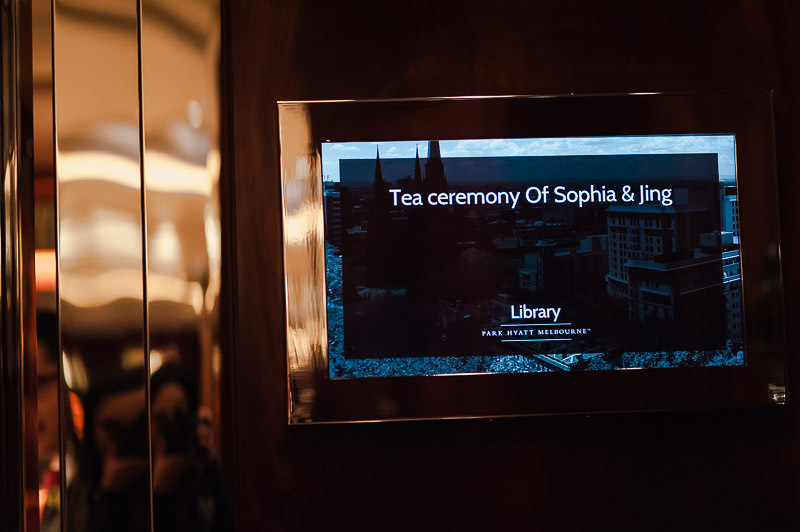 Not only that, Sophia and Jing were in good company as this very suite had welcomed Taylor Swift, Jerry Seinfeld and Justin Bieber. 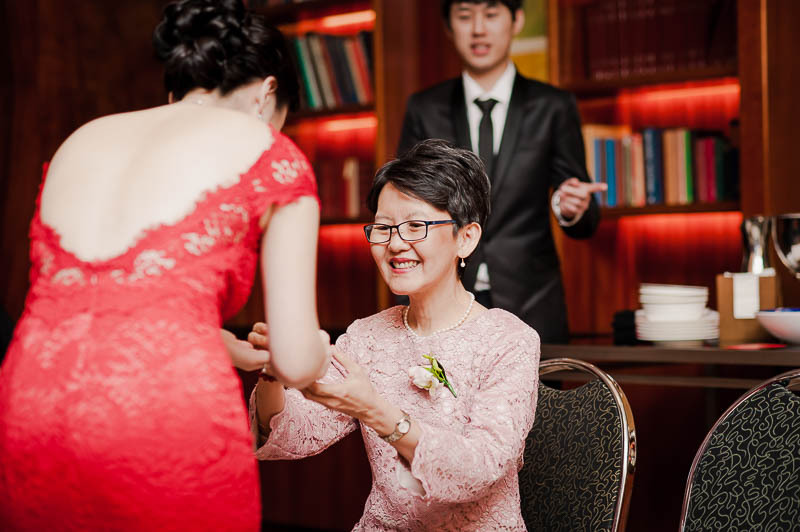 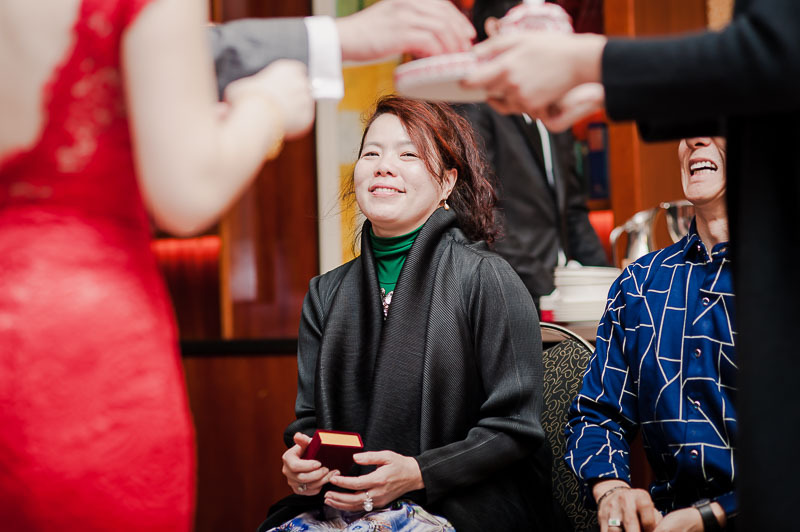 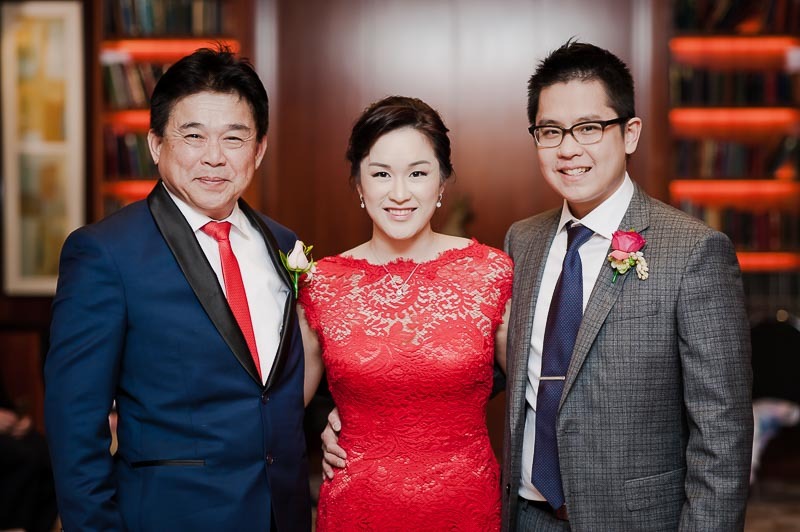 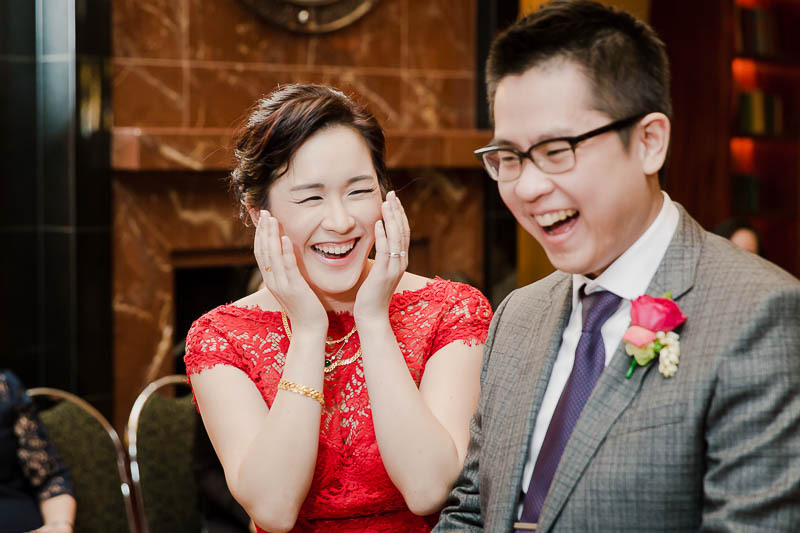 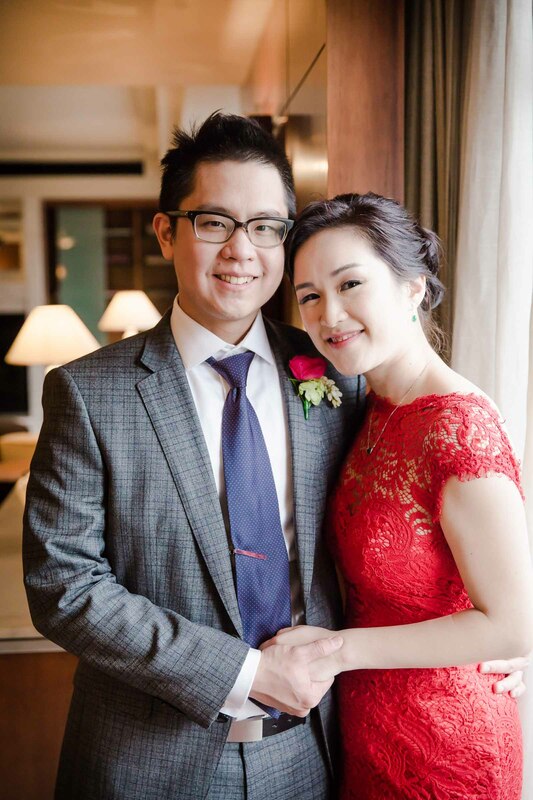 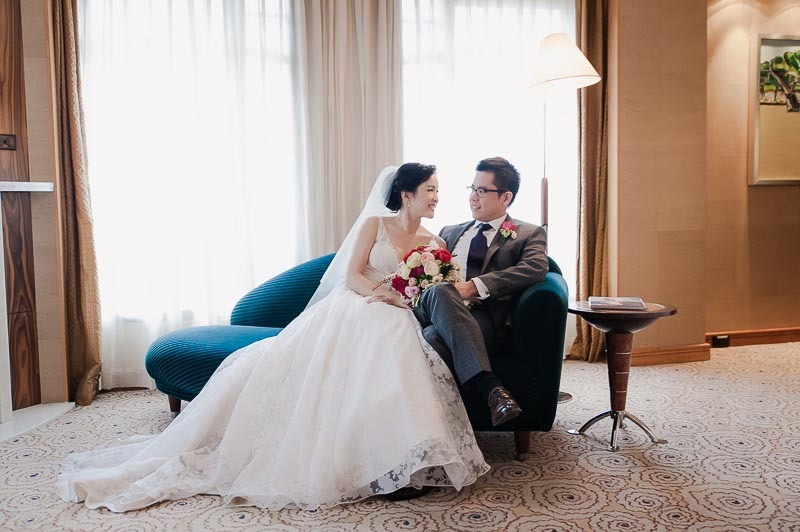 Celebrity names aside, it was time for Sophia and Jing to prepare for their Tea Ceremony. 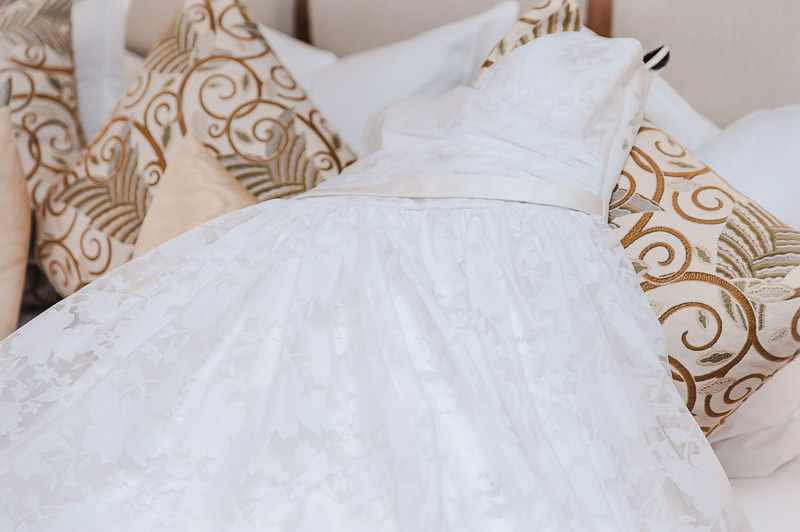 This meant a dress change for Sophia and a chance for us to grab some preparation shots. 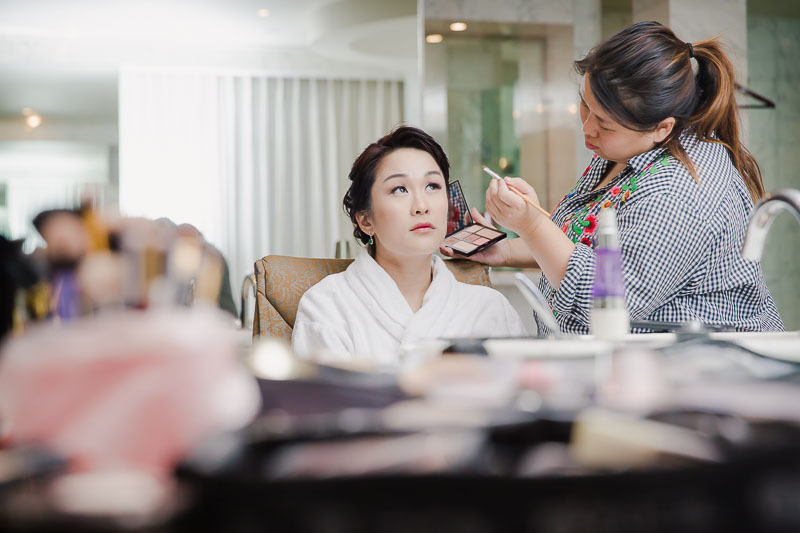 Prep shots after the wedding... 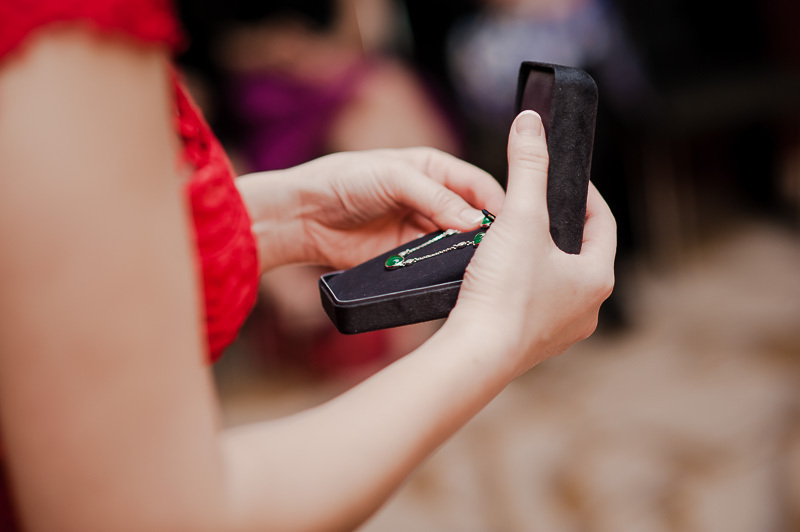 I told you it'd make perfect sense! 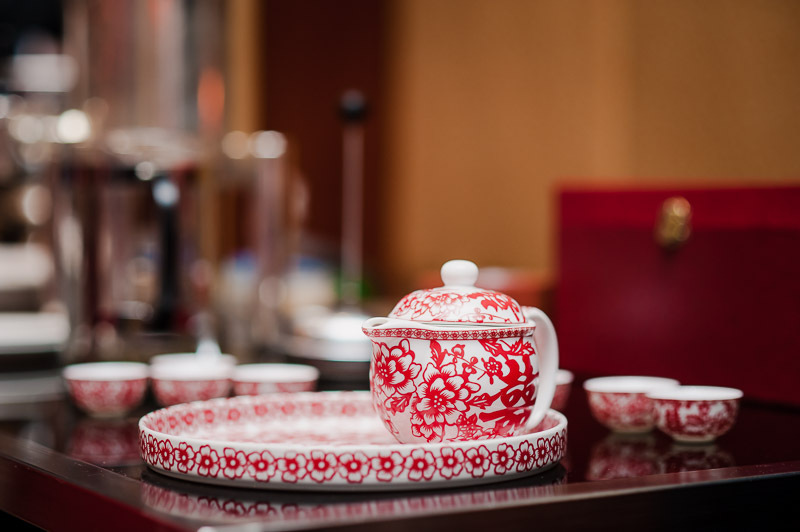 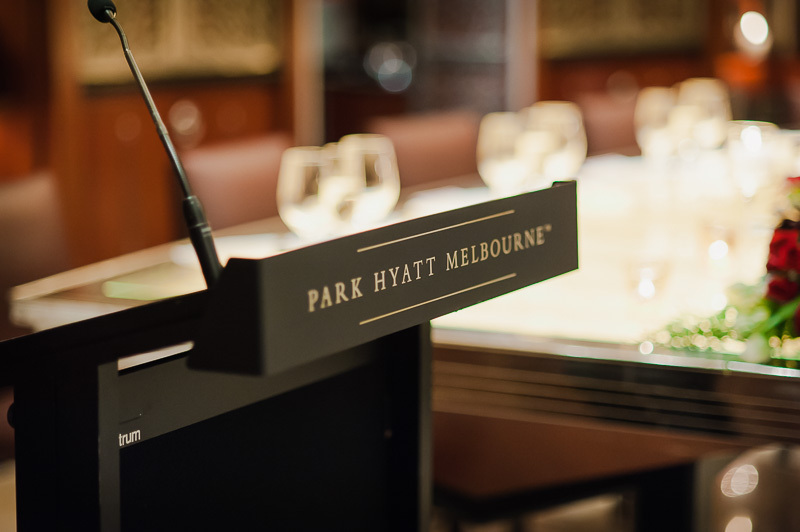 The Tea Ceremony was held in the Library of the Park Hyatt Hotel. 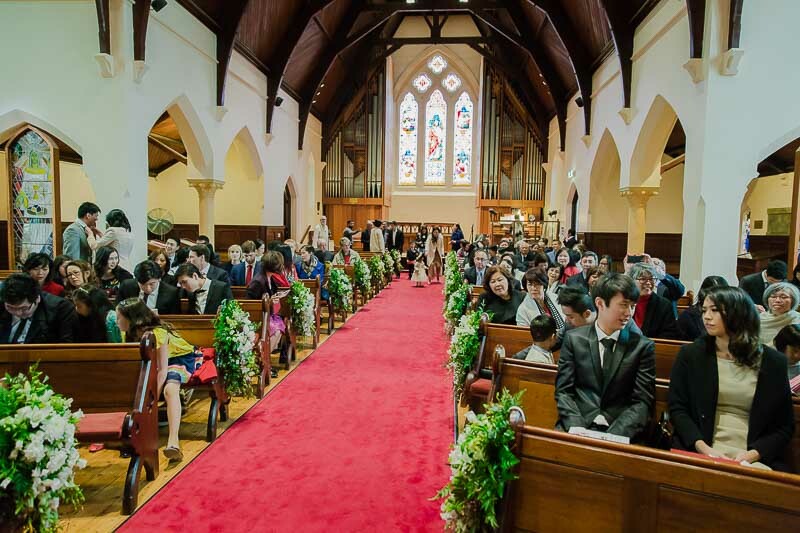 What a lovely, private space for a gathering of the extended family. 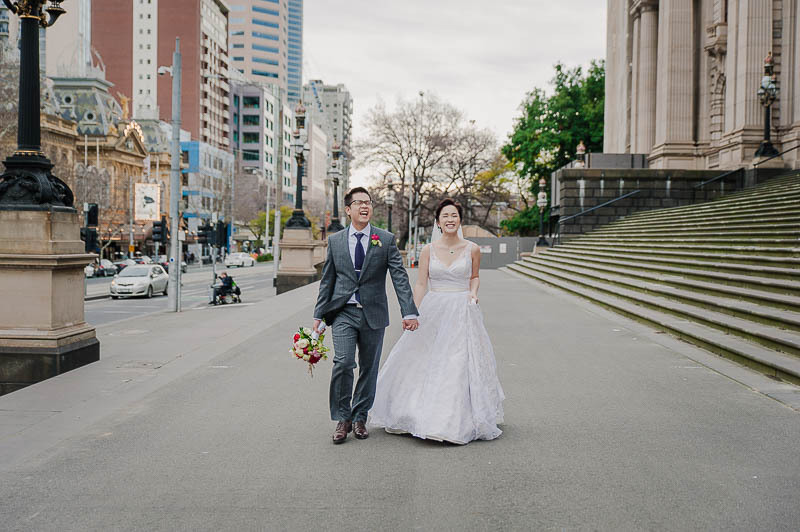 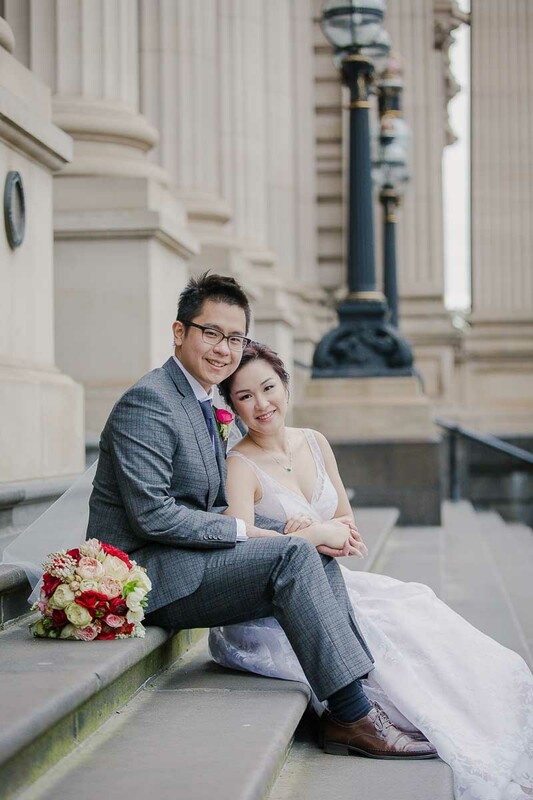 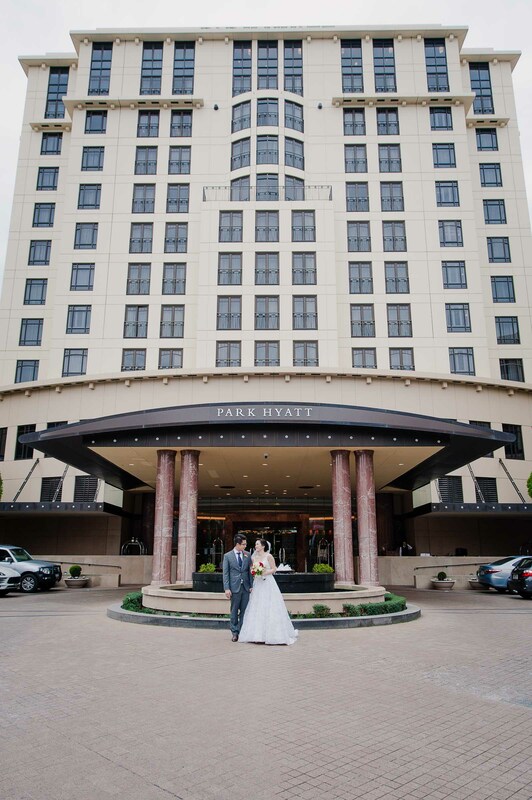 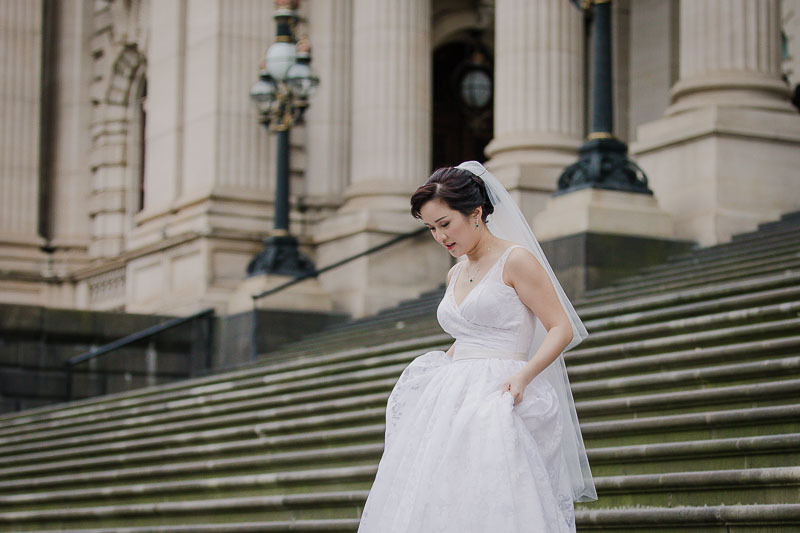 Although the forecast was a little bleak, we caught a break in the weather and managed a quick round trip to Fitzroy Gardens and Parliament House for some wedding portraits.